The chances are you’ll have seen our lorries on your travels across the UK due to their distinctive washing line of sheets along the side of the lorries! 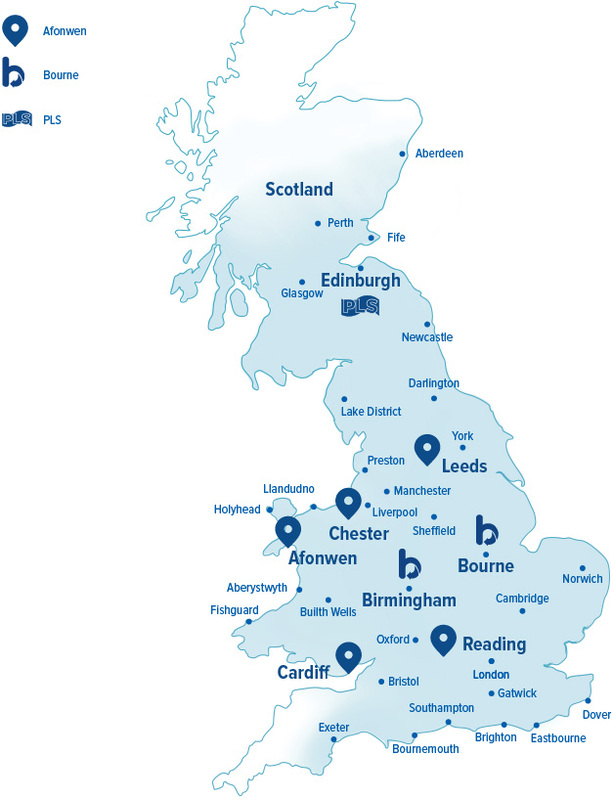 Due to our continued growth, we’re increasingly offering an almost nationwide service from Fishguard to Folkstone, Newcastle upon Tyne to Exeter, Liverpool to London, Sheffield to Southampton. Through Bourne and PLS in Edinburgh we provide almost nationwide coverage. So feel free to get in touch as we cover the majority of major towns and cities across the UK, we’d be delighted to let you know if we can meet your requirements. The map below gives a guide as to where we currently supply but we’re happy to consider travelling further afield where volumes and transport costs can be fairly balanced to make it work for everyone. Feel free to ask by getting in touch. Map is for illustrative purposes only. Certain delivery restrictions apply.